I am certain you have heard about this new line of dolls from Lalaloopsy. 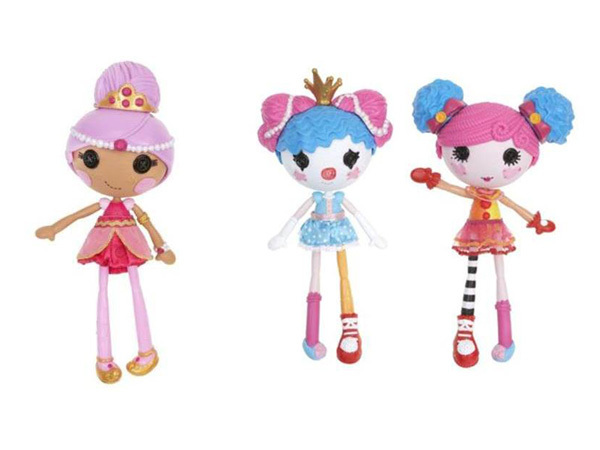 We have given you a sneak peek of this from our post on Coming Lalaloopsy. 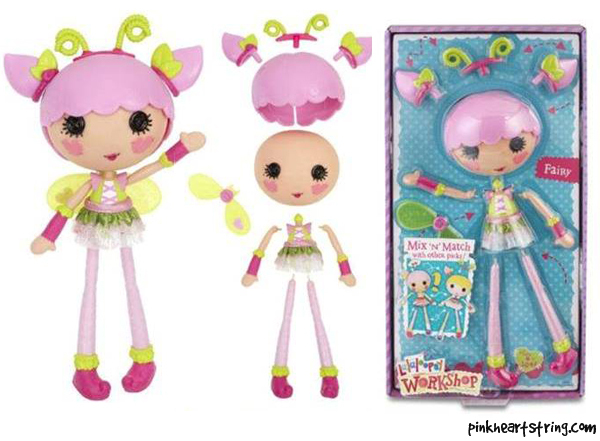 Today, I will show you the Lalaloopsy Workshop. These are dolls which can help develop your child's creativity by mixing and matching their body parts from hair to shoes. 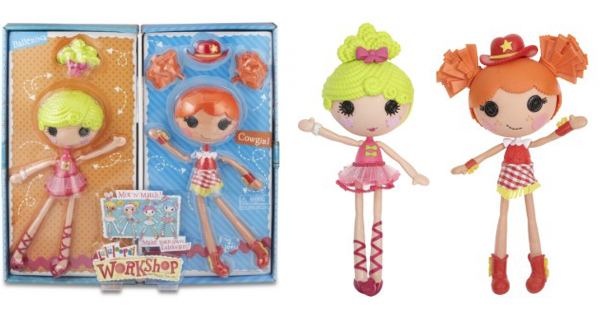 Lalaloopsy Workshop Dolls also look more artistic and their design varies from one doll to another. They have many lashes and their cheeks come in different shapes. Even their lips are designed differently. Check out the images below. The Ballerina wears a tutu with lovely ballerina shoe. Her is an up do with some curly and swirly designs. She has a bracelet on one arm. The Cowgirl has hair like that of Ember Flicker Flame and seems like the counterpart of Prairie Dusty Trails. The Bunny is Cotton Hoppalong which was a Target Exclusive Easter 2011 Doll. She is wearing bunny slippers and looks totally cute. With her is a nerdy with two pigtails and a fun looking cup. She wears nerdy glasses and a plaid skirt like that of a school girl. The Princess has some touches from Jewel Sparkles with a pink hair. She is wearing a lovely blue dress and white gloves. She has a crown for a princess too! The Clown has red nose and a pigtail too. She is like Peanut Big Top inspired. The Genie doll is inspired with the look of Sahara Mirage. You can notice the hair, the clothes and the shoes are similar to Sahara. This one looks like Marina Anchors with similar hair and clothing. The Fairy is another cutie with heart shaped cheeks. She has yellow green and pink colors like that of Pixie E. Flutter. She also has tiny green wings. 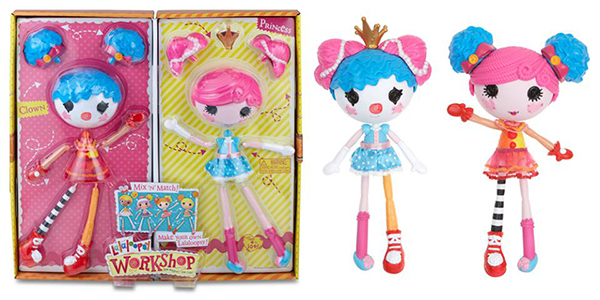 So, after seeing this new line of Lalaloopsy Workshop Dolls, which ones do you like the most? 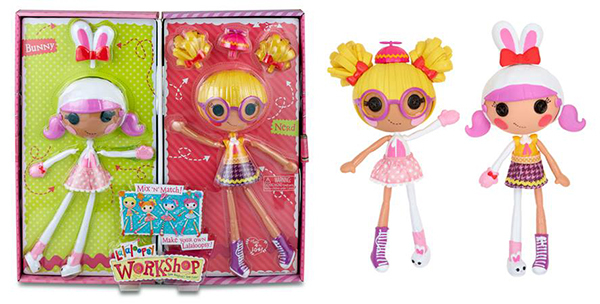 Would you get these dolls for your little ones?